These great gifts for kids will help build early reading skills, encourage creativity and learning, and promote self-confidence. With stories, puzzles, crafts and activities, this magazine is a great gift to introduce young boys and girls to the world of reading and creative thinking. Hive Five magazine's age-appropriate stories and activities help young children become curious, creative, caring, confident individuals. Filled with character- and skill-building fun in two languages, High Five Bilingüe is a great gift to set 3- to 5-year-olds on the path toward lifelong learning and language proficiency. "¡Hola!" and "Hello!" 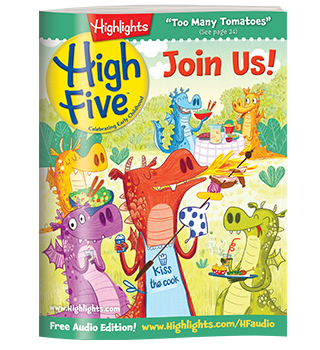 High Five Bilingüe is the perfect magazine for young children who are learning English and Spanish. The LET'S PLAY level of Hidden Pictures Club brings 3- to 5-year-olds tons of Hidden Pictures® puzzles, lovable characters, and even beginning Spanish-language activities in every shipment. The LET'S PLAY level brings your child tons of Hidden Pictures® activities, plus lovable characters and even beginning Spanish-language puzzles, in every shipment! Finding hidden objects not only helps young children sharpen important early learning skills like concentration and attention to detail, it’s the perfect opportunity for them to spend fun, quality time with family and friends. Hours of age-perfect Fun with a Purpose™ — anytime, anywhere! When you join the LET’S PLAY level of Hidden Pictures Club™ now for just $6.95, plus $2.98 shipping and handling, we’ll send you a second LET’S PLAY Book and a Tote Bag FREE! We'll continue to send 2 new books about every three weeks at the low price of just $6.95 per book, plus $2.98 shipping and handling, conveniently charged to your credit card. There is no minimum number of books to buy, and you are free to cancel at any time. You can return any shipment you don't want at our expense and receive a full refund credited to your account. Your satisfaction is 100% guaranteed. When kids complete all the books in the LET'S PLAY level, we'll automatically begin shipping books from EAGLE-EYE, the next level up in Hidden Pictures Club. If your child is ready for a greater challenge sooner, just give us a call at 1-800-962-3661 to step up to the EAGLE-EYE level at any time. Your first shipment will arrive in 2 to 4 weeks. All payments are in U.S. dollars. State sales tax will be added to orders from CA, FL, NJ, NY, OH, PA and WI. For your convenience, your credit card will be billed with each shipment, starting with your second shipment. Online ordering is available for U.S. delivery only; please call Customer Service a 1-888-372-6433 for Canadian delivery. With age-appropriate activities of all kinds, our most popular puzzle book club is a top gift for puzzle-loving 4- to 5-year-olds. What builds self-esteem in an eager young learner? Parents and child experts agree, lasting confidence comes from a child's accomplishments — from winning small challenges and mastering new skills. With Puzzle BuzzTM, even the youngest child learns to tackle activities independently, and puzzle-solving skills begin to grow. When you join the Puzzle Buzz level of Highlights Puzzle Club for just $6.95, plus $2.98 for shipping and handling, we'll send you a second Puzzle Buzz Book and a Tote Bag FREE! We'll continue to send 2 more books about every three weeks for just $6.95 per book, plus $2.98 shipping and handling, conveniently charged to your credit card. There is no minimum number of books to buy, and you are free to cancel at any time. You can return any shipment you don't want at our expense and receive a full refund credited to your account. Your satisfaction is 100% guaranteed! When kids complete all the Puzzle Buzz level books, we’ll begin shipping books from Puzzlemania® and then Puzzlemania Super Challenge, the next levels up in Highlights Puzzle Club for more experienced puzzlers. If you feel like your child is ready for more challenge sooner, just give us a call to step up to the Puzzlemania level any time. Your first shipment will arrive within 2 to 4 weeks. All payments are in U.S. dollars. State sales tax will be added to orders from CA, FL, NJ, NY, OH, PA and WI. For your convenience, your credit card will be billed with each shipment. 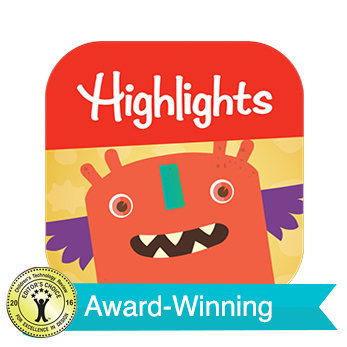 This skill-building app, which helps little ones learn 11 shapes and 11 colors, is a great gift for toddlers who will be entering preschool. Help young boys and girls learn compassion and kindness by caring for a monster with this cool gift. Encourage your child to think, laugh and learn through play! 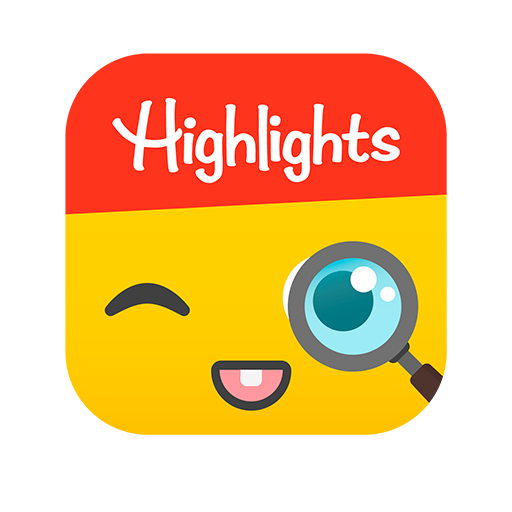 This app’s unique Adaptive Learning Technology adjusts puzzle challenges to match kids’ growing skills. 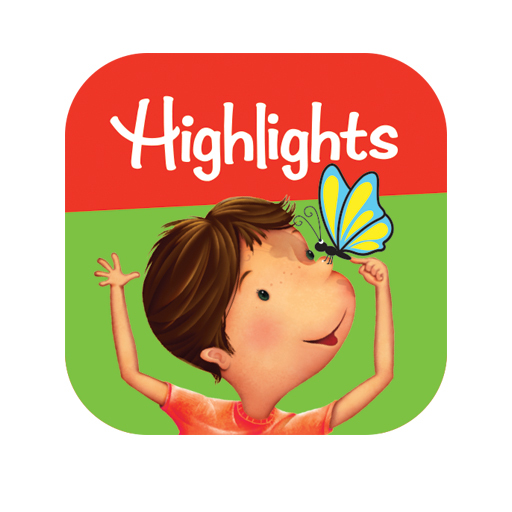 This series of animated stories, challenging puzzles and creative art play is one of the best gifts to provide 4- to 5-year-olds with skill-building, interactive fun. With simple stories and sweet artwork, these books are the best gift for any family with little ones. With simple stories and sweet artwork, these books for small children form an essential library for any family with a new baby. 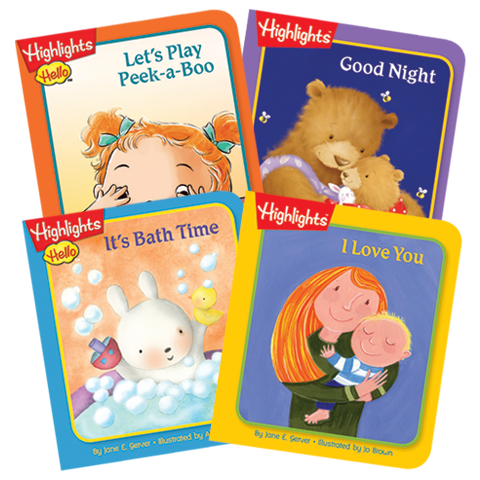 Sturdy pages and rounded corners ensure that your small child will enjoy these tales for years to come. Includes 4 books in a slip case. 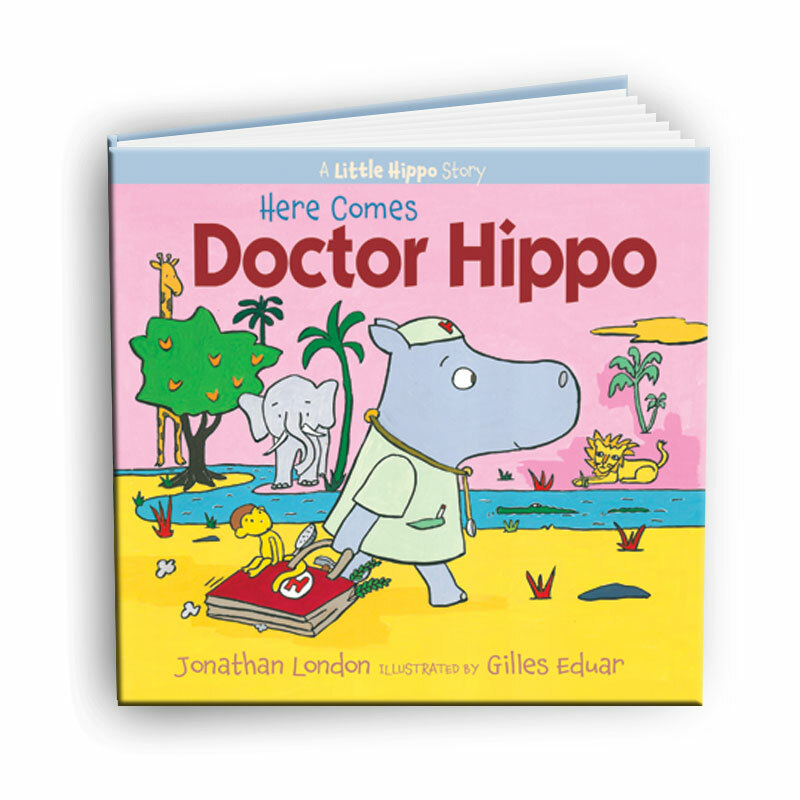 Boys and girls will love following Little Hippo's adventures with this fun gift of reading. Little Hippo loves to pretend, and today he is playing a doctor. But examining patients isn't going as Doctor Hippo imagined. When Lion lets out a huge roar, the little doctor races home to find that Mama Hippo's medicine is the best of all. These simple, achievable mazes are a top gift for kids learning their way into the world of puzzles. Easier mazes are just right for kids learning their way into the world of puzzles. 60 mazes per book, plus solutions in the back. Ages 4+. This fresh take on a familiar rhyme is a fun gift for 3- to 5-year-old animal and music lovers. Hey diddle diddle, the cat plays the fiddle, the cow...plays the silver trombone! 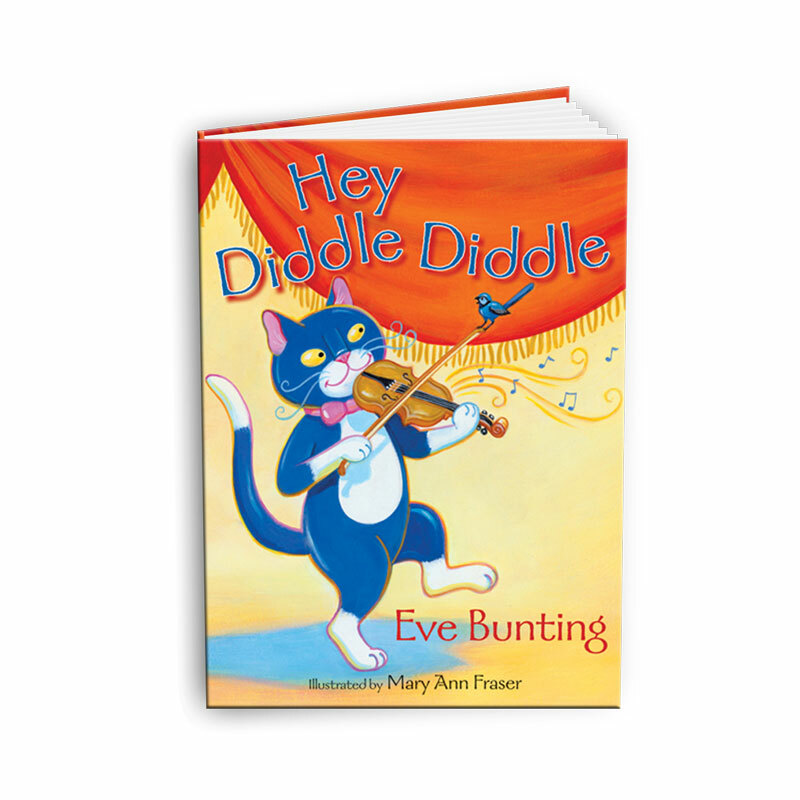 Eve Bunting's fresh take on a familiar rhyme, enlivened by Mary Ann Fraser’s whimsical illustrations, offers exuberant animals showcasing their musical talents.